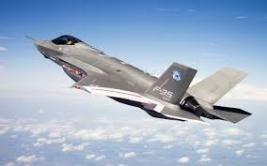 Continued funding for the F-35 Joint Strike Fighter program is essential to a strong economy and national defense, says an op-ed written by IAM District 725, Huntington Beach, CA, Organizing Director Brian Miller in the Hanford Sentinel. “With Congress soon to debate cuts mandated in the congressional budget sequester, many believe deep cuts to defense programs such as the F-35 are essential to lowering the debt,” wrote Miller. “While I agree that a balanced approach to deficit reduction is necessary, slashing programs that provide good-paying American jobs is shortsighted and takes us in the wrong direction. Take action today. Tell Congress to stop sequestration by clicking here.